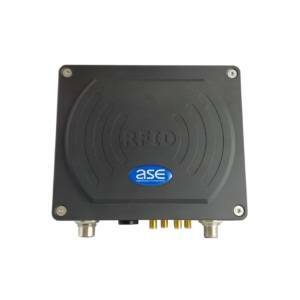 ASE Srl news: ASE presents the new RFID UHF Superior Reader "A21512U"
ASE SRL, a reference company in the proposal of professional components for automatic identification, presents a new product designed for logistics and industrial applications. The new A21512U Superior reader, built by ASE with the new R2000 Impinji chipset, can guarantee above average performance in terms of reading distance and anti-collision operation, with the ability to drive up to 4 antennas (also available integrated version). High power, high sensitivity and various industrial options such as opto-isolated inputs and outputs, industrial connectors M12 and extended power supply, are the peculiar characteristics. Designed for use in industrial automation, access control, data collection, automation applications in general, logistics and robotics, the A21512U is suitable for outdoor applications (IP67 protection). Its flexibility of use is due to the different types of interface available such as RS232, RS485 and TCPIP Thanks to the supplied software it is possible to configure the desired operating mode, even remotely, using one of the various communication interfaces.